Great Falls Montana is your basecamp for breathtaking rides. Using Great Falls as a basecamp, you can experience 6 different rides, varying in terrain, time, and scenery. The CM Russell ride, Lewis and Clark ride, Mountain to Wind Towers ride, Plains & Peaks ride, Scenic Byway ride, and the Cowboy ride deliver an open-road experience through Central Montana that can only be found in Montana’s Basecamp for Art & Adventure. 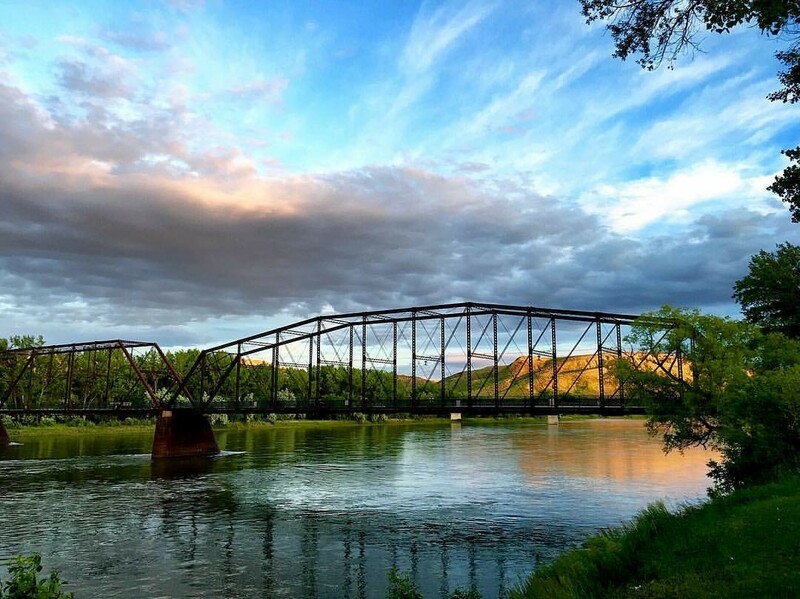 Drive US 87 north of Great Falls to Fort Benton, the birthplace of Montana. 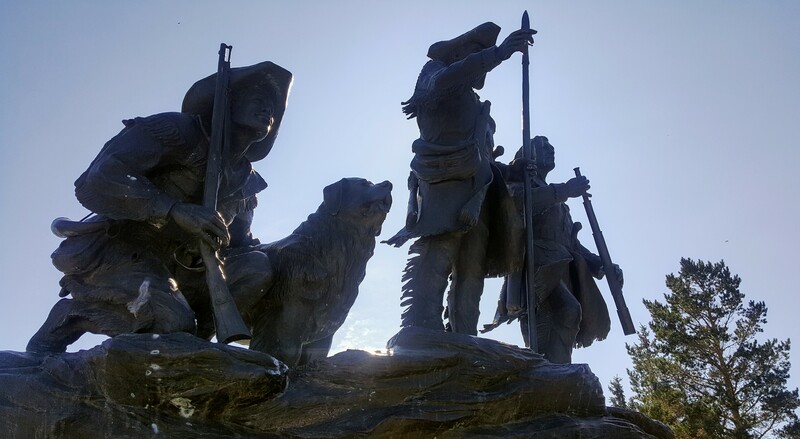 The Lewis & Clark Memorial stands on the levee in Fort Benton along with several museums covering the town’s history. Take a tour of the Old Fort reconstructed on the original site and experience everything from a blacksmith shop to Native American culture to fur trade information. Stroll along the levee and think of the Lewis & Clark expedition paddling up this river. Be thankful for modern transportation! Drive 25 miles east from Great Falls on US 87 past Belt and turn south onto US 89 at Armington Junction rest area. The next 71-mile stretch is dubbed the Kings Hill Scenic Byway. You’ll drive through the charming mountain towns of Monarch and Neihart, cross Kings Hill Pass, and into White Sulphur Springs. There are hot springs here and the water heats one large outdoor pool and two smaller pools. You don’t need to be a motel guest to soak, just pay a small fee and enjoy the thermal waters. White Sulphur Sprins features a unique Castle Museum built as a home by an early day resident. Drive from Great Falls on I-15 North, turn at Vaughn, and take US 89 north to the small town of Dupuyer. You will be driving parallel to the spectacular Rocky Mountain Front, locally referred to as The Front. Travel north of Dupuyer about 10 miles, turn east toward Valier on MT 44. Drive by Lake Frances although you may want to stop in for dinner at The Lighthouse Restaurant. Continue driving on MT 44 to I-15, then turn north for a short drive to Shelby. Drive about 25 miles east from Great Falls on US 87 past Belt, turn south onto US 89 at Armington Junction rest area. The next 71-mile stretch is dubbed the Kings Hill Scenic Byway. You’ll drive through the charming mountain towns of Monarch and Neihart, cross Kings Hill Pass, then into White Sulphur Springs. There are hot springs here and the water is used at the Spa Hot Springs to heat one large outdoor pool and two smaller pools. You don’t need to be a motel guest to soak, just pay a small fee and enjoy the thermal waters. If you forgot your swimming suit you can even rent one! This town features a unique Castle Museum built as a home by an early day resident. 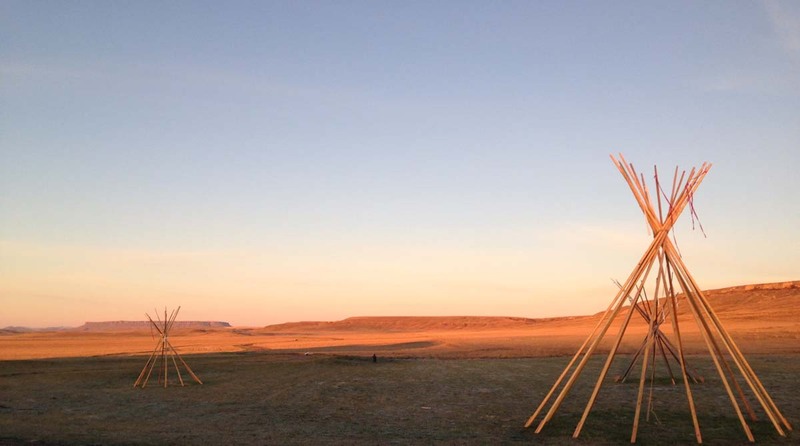 14 miles from Cascade near the town of Ulm is First People’s Buffalo Jump State Park. 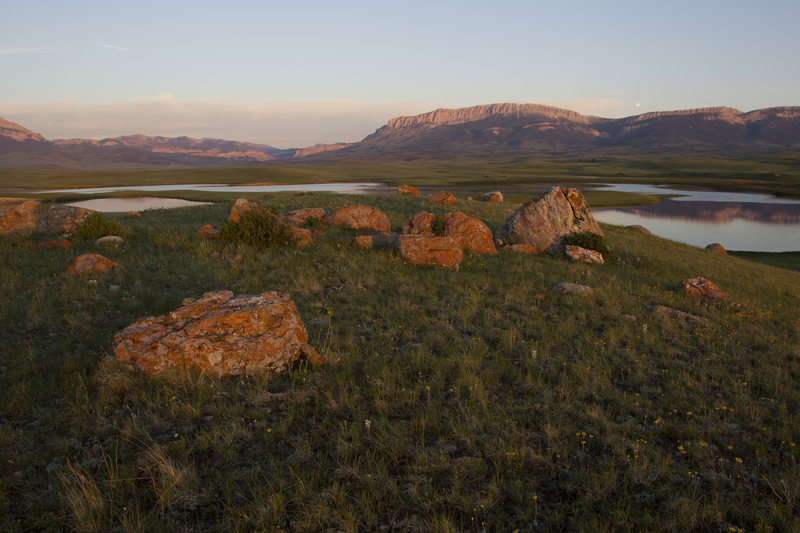 The park is 4 paved miles from Ulm with a visitor center at the base of the buffalo jump. It’s well worth the 4 miles off the highway to learn about Native American culture before the introduction of horses and firearms. Drive back to the frontage road and take the final 11 miles of your journey into Great Falls. Cattle ranching and the cowboy way of life will be seen as you drive from Great Falls to Vaughn on I-15, then turn onto MT Highway 200 to Simms, then MT 21 to Augusta. The small town of Augusta has everything from a cappuccino bar in an eclectic gift store called Latigo & Lace, to a general store. A gathering place for locals, Chubbie’s Diner, will satisfy just about any ice cream craving you have. From Augusta, drive north on US 287 to Choteau and drive up Main Street where the highway splits and goes around the Teton County courthouse. Delightful shops, a great variety of home cooking restaurants, and a nice museum complex (Old Trail Museum) will make you want to stay here awhile. 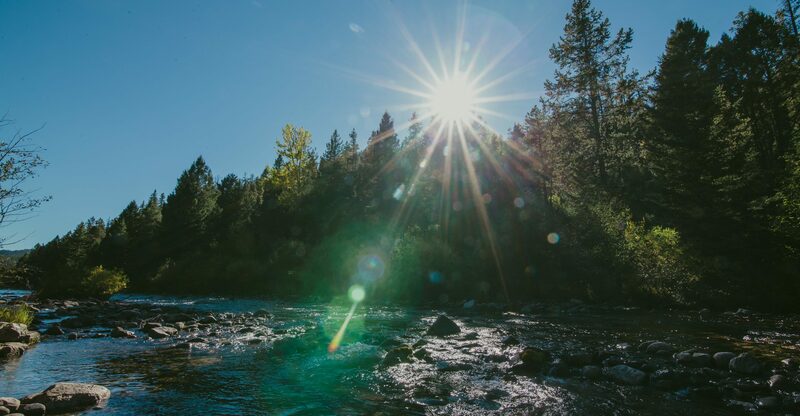 Once you’ve experienced Choteau, drive south on US 89 past Freezout Wildlife Management Area, through the town of Fairfield, then into Great Falls. 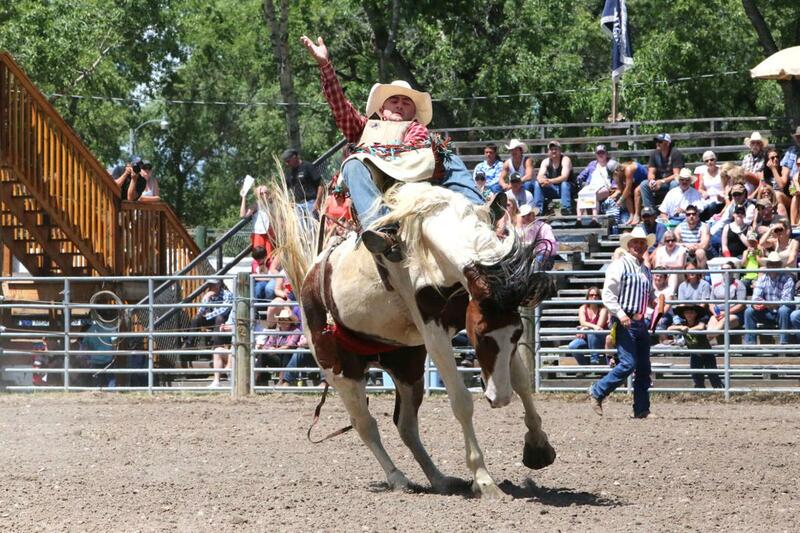 Special thanks to Central Montana for the images, contents, and routes provided.